The newly announced Valve Index will require a powerful gaming PC based on recently leaked specifications and requirements. The good news is that your last generation VR PC may still fit the bill and meet the minimum requirements. The bad news is that it may not meet the recommended requirements and could use a tune up or a new graphics card. We recommend you buy an off the shelf PC if building one sounds overwhelming. If you’re starting a new build from scratch we would suggest targeting the recommended requirements or above to ensure you have the best experience and that you’ll be somewhat future proof. 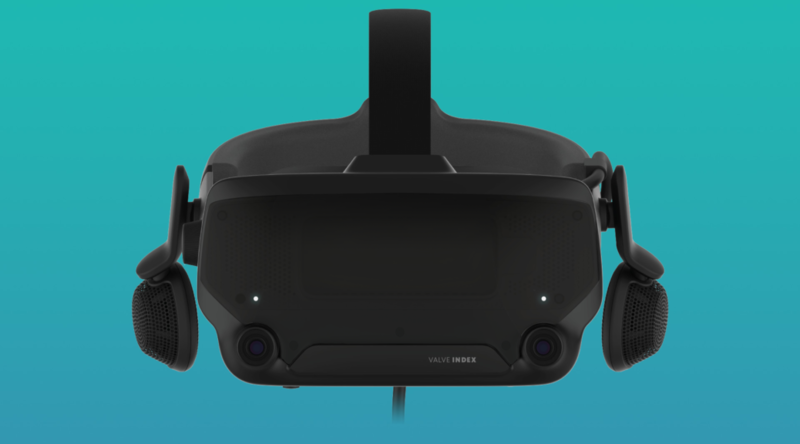 The recommended requirements for the original Vive and Rift were an excellent guideline and held strong since their release in 2016. If you target the new Index recommended requirements you should have a bullet proof build for years to come. If you’re upgrading your existing gaming PC you may only need a new graphics card to meet the recommended requirements. Check out your current specs and start shopping for a new GPU. For a new build we’re going to be targeting the recommended requirements to make things slightly future proof. If you’re going to invest some money in a new PC it’s not going to be cost effective or make sense to target the minimum requirements. Graphics Card – ASUS GeForce GTX 1070 – This is a great card for the money from a quality manufacturer. This will be the engine for your VR PC. You can consider higher performing cards like a 1080 but things get very expensive, very quickly. Motherboard – MSI B360 Gaming Plus – An excellent foundation for the PC, I’m a big fan of MSI and their BIOS. Support for the 9th gen CPU and DDR4 RAM. Has everything you need. CPU – Intel Core i5-9400F – A great performance CPU that will be perfect out of the box. 6 cores and newer 9th gen version of the i5-8400. A cost effective option that nixes on-board graphics and includes a heat sink with fan. Consider something else if you want to overclock. RAM – Kingston DDR4 Hyper X 16GB – Nothing too special here, 2 sticks of 8GB RAM to get you started. The motherboard has 4 slots so you’ll have 2 open for future expansion. SSD – Samsung 860 EVO – This is my default recommendation for an SSD. I’ve had bad experiences going with cheaper options. You’re going to need to pair this with a traditional hard disk for game storage, hopefully you have one laying around you can scavenge. Case – Corsair Carbide 200R – A very nice and clean case. Solid platform for your build. A lot of options here but this is my favorite. PSU – EVGA 500W – Nothing too special but a cost effective supply with enough power for the GPU and CPU. Plug and play.